This delicious treat is easy to make, and a great option to make with children. 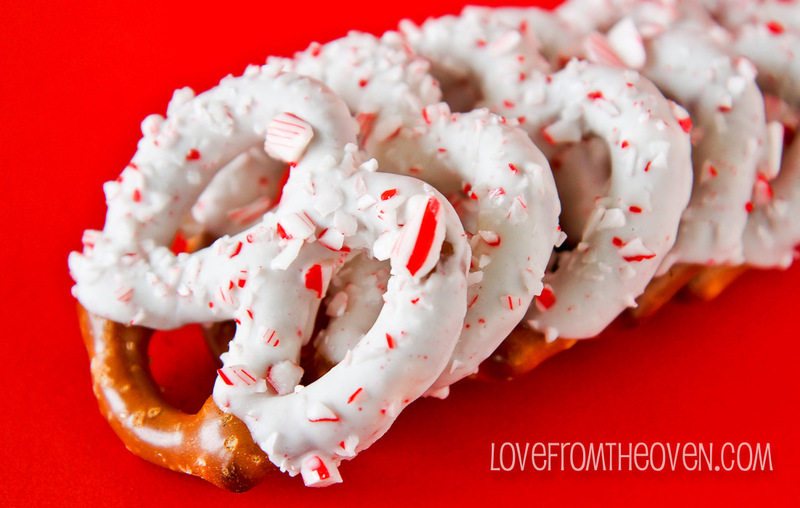 Pretzels dipped in white chocolate and sprinkled with peppermint candy. 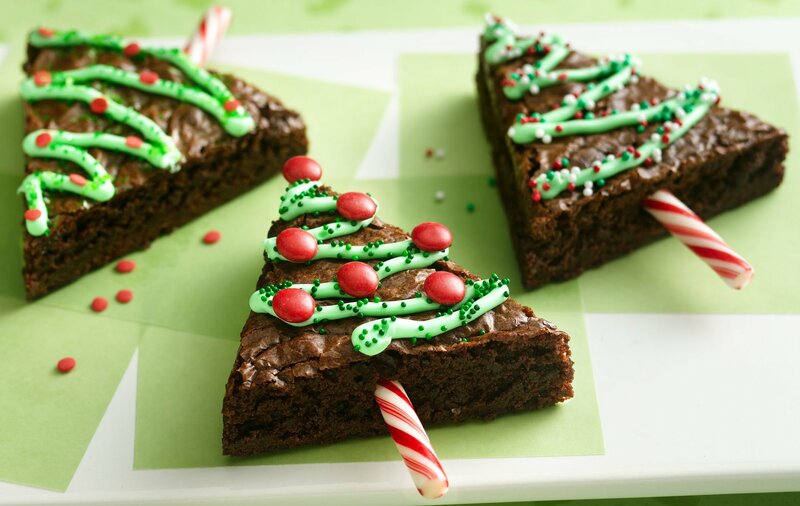 Brownies cut into triangles, and decorated with green frosting, sprinkles and M&M’s to treat those seasonal chocolate cravings. 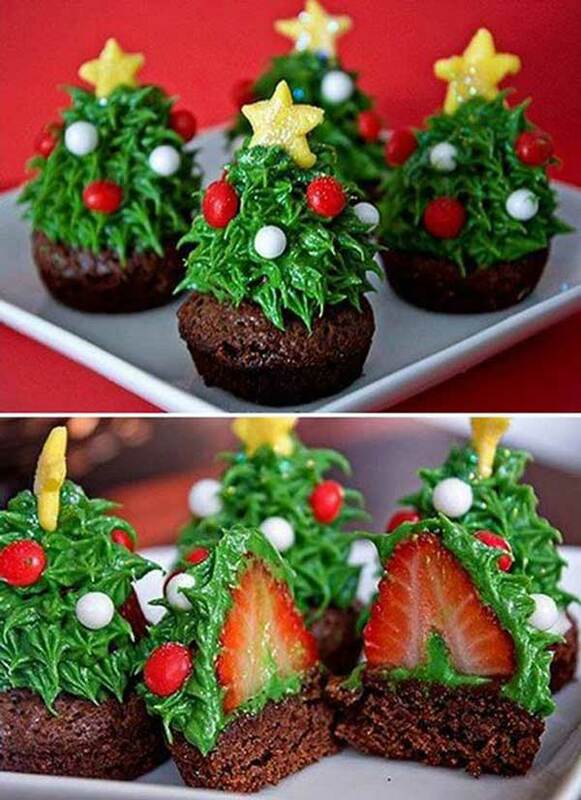 Chocolate muffin brownies topped with a frosted strawberry make a delicious treat, and a wonderful addition to your Christmas spread. 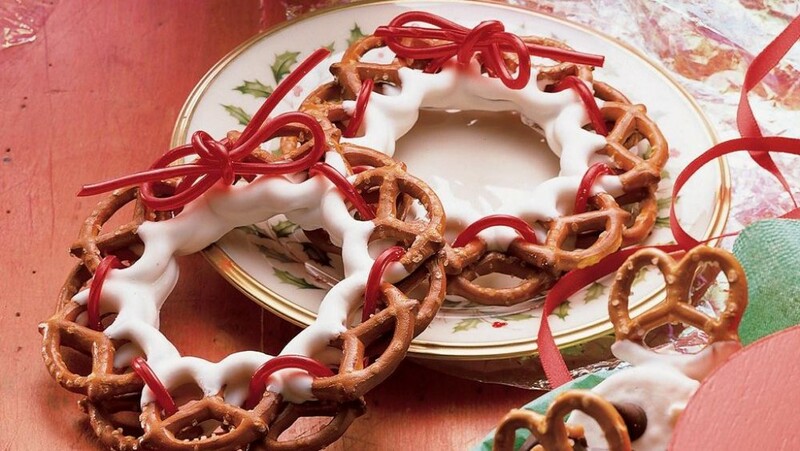 Pretzel wreaths dipped in white chocolate and red string licorice make this fun, delicious, Christmas treat and a fun project for older children. 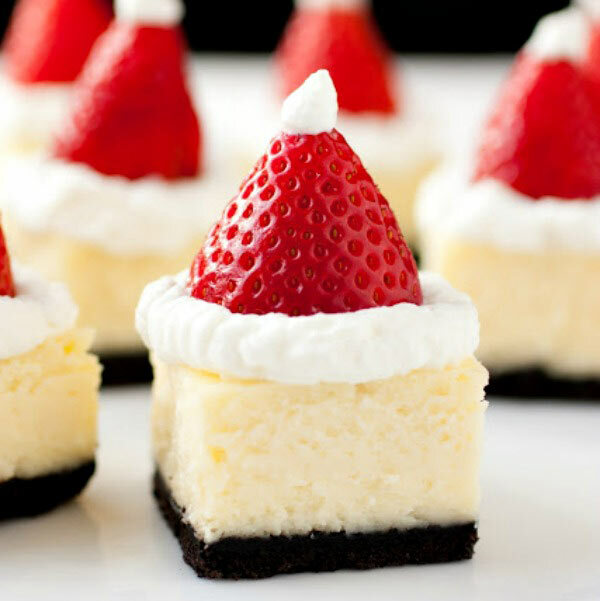 As pretty as it is delicious, these strawberry topped cheesecake bites make the perfect Christmas treat. 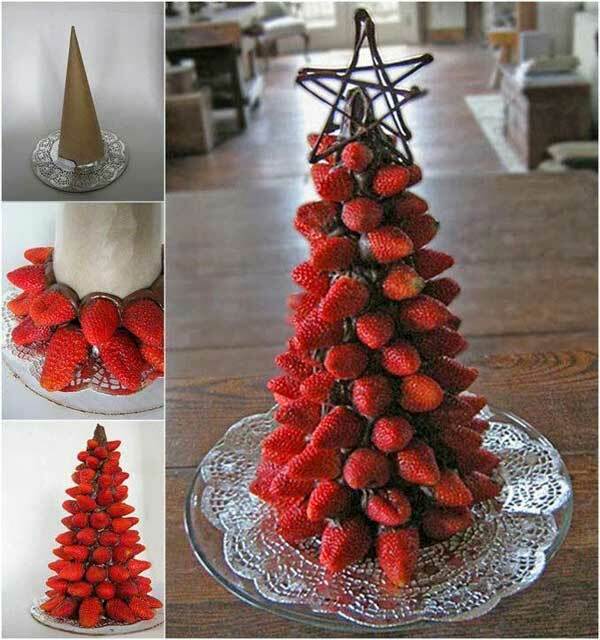 This strawberry frosted Christmas tree is amazing, and delicious. A beautiful and healthy, Christmas treat. 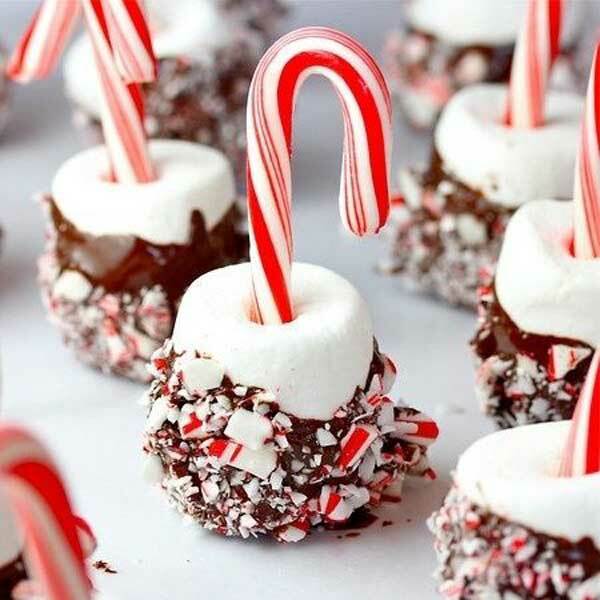 Marshmallow, chocolate and peppermint make a delicious and fun project, and a lovely themed treat. 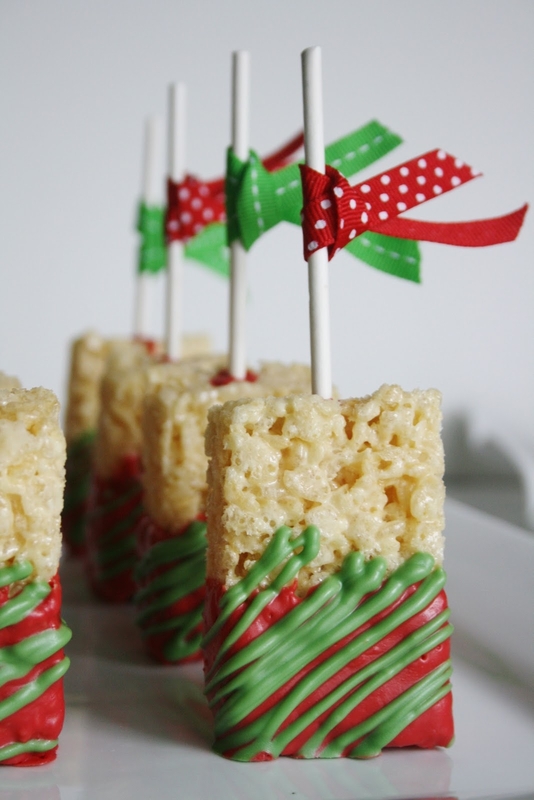 Frosted rice crispy bars make a delicious and fun Christmas party favor for children. A little ribbon is the perfect way to tie the look together for a party. 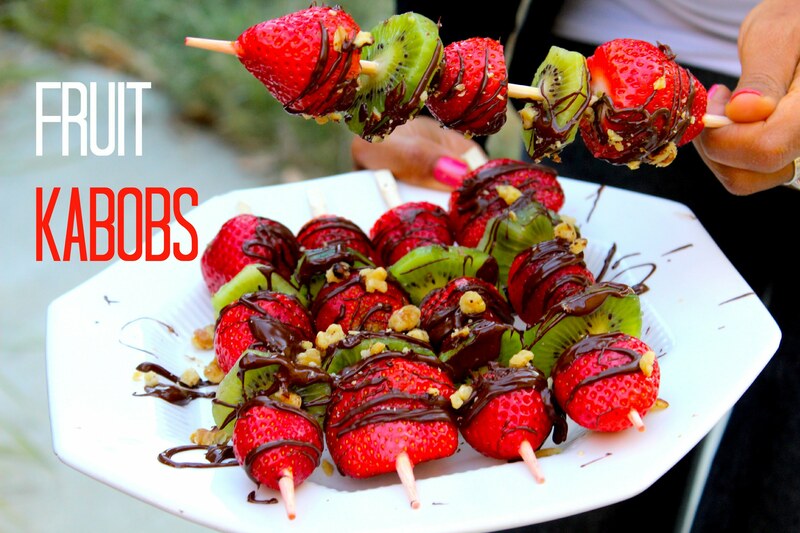 Fruit ka-bobs drizzled with dark chocolate and sprinkled with nuts is a perfect way to keep your calorie count in check while getting your Christmas dark chocolate cravings. 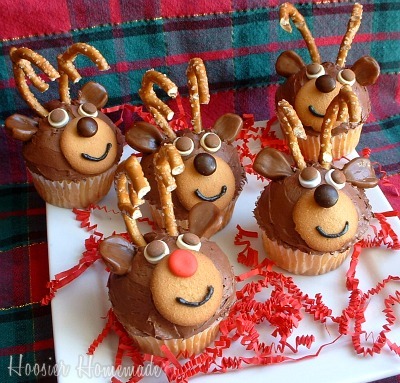 Chocolate muffin reindeer with pretzel horns – a fun and delicious baking project for the kids and an adorable Christmas treat!